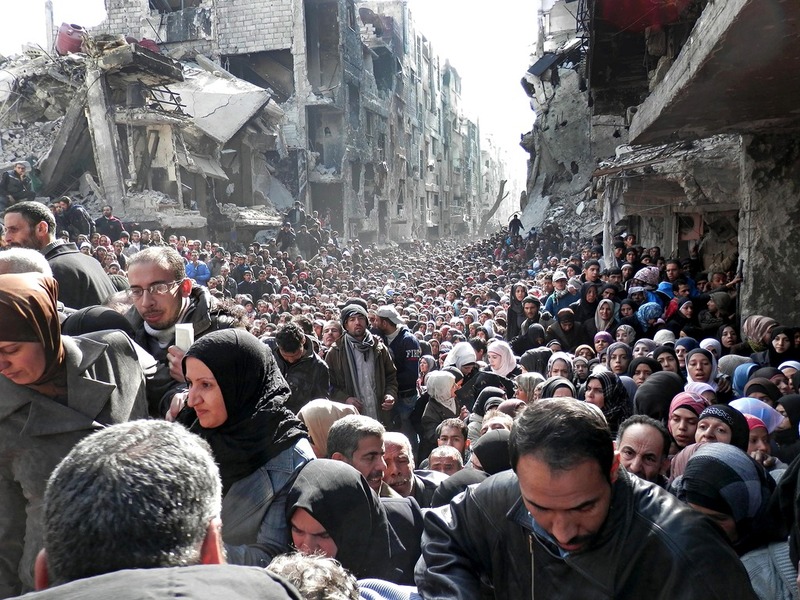 With much of the attention off of Syria, and onto Ukraine and the Olympics, I thought I would share some photos and information on the present state of the Syrian people. From the U.N. Relief and Works Agency. National Post news story on the matter (more photos inside). It can be good to take to the streets, but even when such action is necessary… the consequences are long lasting and terrible for everyone. 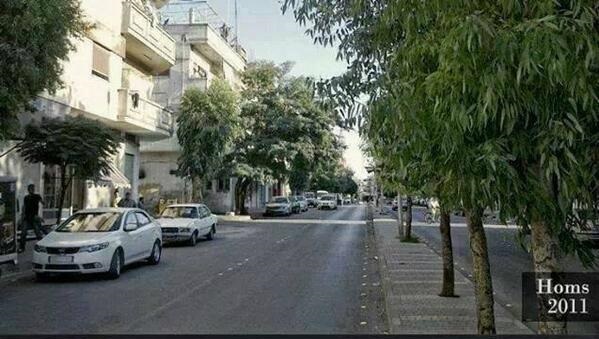 Consider the following two photos, one of Homs in 2011, and another of the same avenue in 2014, after the devastation. At least for these people, this amounts to the apocalypse, the destruction of everything. For those interested in donating to this cause, or to any cause, the below link is to the American Institute of Philanthropy, a nonprofit that provides information about charities’ financial efficiency, accountability, governance, and fundraising. If a society is not made and maintained with care, лайно стає потворним. 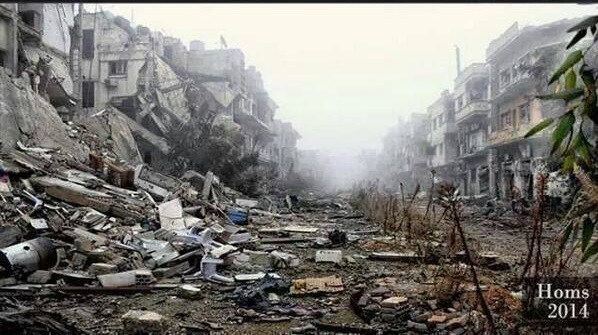 This entry was posted in 2014, Syria, War and tagged Homs, Refugee Camps, syria, U.N. Relief and Works Agency, Ukraine, UNRWA. Bookmark the permalink.